Confused about which coaching schools offer the best value? You're in good company. We used to compare several life coaching schools on this page, but the programs we compared changed so often that we found it nearly impossible to keep this page up-to-date, so unfortunately, we've had to remove the data. The good news is that we've written a free eBook called, Become a Coach, that is packed with helpful information on how to choose the best coach training school for you and it has check lists and note sheets you can use to compare the schools you're interested in and it points out important questions you should ask. The Become a Coach Ebook even includes 8 hours of free coach training via audio recording. Try it out! Fill out the short form, below, to get your free eBook and free coach training. We think our Certified Positive Psychology Coach® Program compares very favorably to other life coach training programs, but your needs are unique. Choose a school that provides what you want. Be sure to ask what's included before you buy. 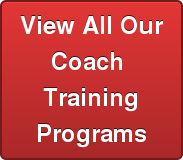 Get the Free "Become a Coach eBook"
Don't Need a Full Coach Training Program?